When it comes to being a Rescue: The commitment we make to these horses is not just about words, it's a promise to make sure they’re never forgotten and cherished forever. Our newest intake “Hercules” has that promise, but has run into a costly obstacle. It’s been discovered that he’s a Cryptorchid. Cryptorchidism is where one or both testicles do not descend normally into the scrotum. An ACVS Board Certified Veterinary Surgeon should perform the identification and surgical removal of the undescended testicles for the safety of the animal. This is a very costly procedure that starts at $1500 with no complications and can get as high as $3000 if there are problems. This is going to make our promise to Hercules of finding him a forever home a bit harder. We are asking you to help us make this promise possible with donations to get the surgery Hercules needs. He’s only four years old and has been bounced around from home to home...he needs to be gelded and adopted to his forever home. 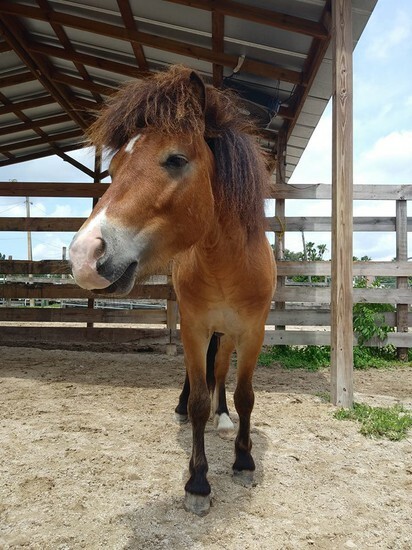 Without our donors we would not be able to continue to offer all the care and attention to the many horses that find themselves in need of a home. Thank you for helping us keep our promise to find every horse or pony in our care a happy home. Hercules deserves the very best and we are going to do our best to make sure he gets it!